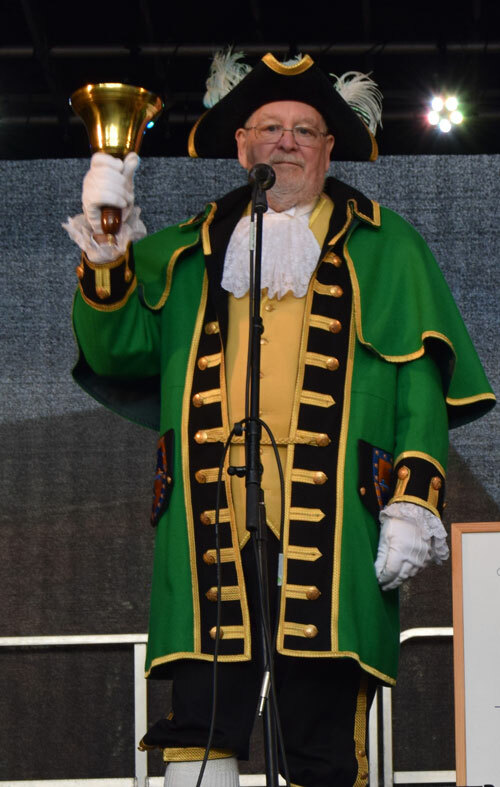 John Hadfield was appointed as Town Crier for Westbury Town Council in December 2016 and made his debut appearance at the Christmas in Westbury Event Day and Lights Switch-On on Saturday 3rd December 2016. John is really looking forward to his duties as Town Crier and is happy to stop and chat anytime! John has been married to Heather for 30 years and they moved to Westbury in 2013 from the London area, after John retired from working for South West Trains. Westbury was once just a station on the services John worked for, but it has now become home to John and Heather. They have been out exploring many local places of interest. John’s main hobby is playing bridge and he plays in a few local clubs.